I conducted this survey on facebook. Its only open for ladies to choose which body type they think is most attractive, that they would like to see in their boyfriend/ lover/ or spouse. Results shown that body type similar to David Beckham (Slim, toned, proportional) seems to be the most popular. Why? Most ladies explained that this body type is not intimidating and non-aggressive, unlike the other 2 body type which look too big or too scary. Guys so what are you waiting for? Time to hit the treadmill more often, and not the weights area! 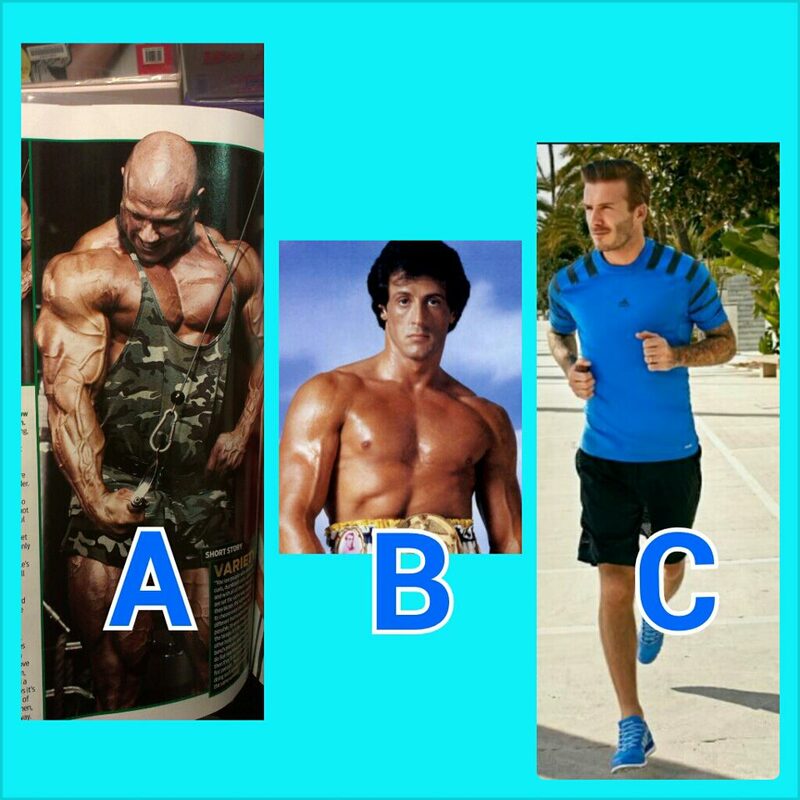 This entry was posted in Fitness Tips and tagged David Beckham, fitness. Bookmark the permalink.